Juniors 3D Alphabet Puzzle | Multicolour | Let your child learn alphabets with this colorful 3D puzzle. 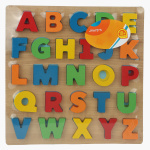 Adapt a new way of teaching by letting your child learn alphabets with this colourful 3D puzzle. 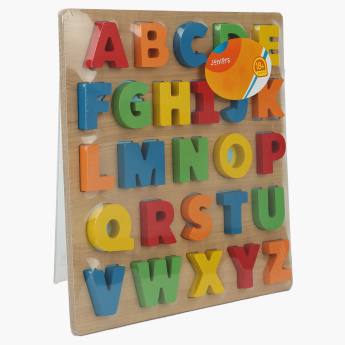 All the letters in this puzzle are smooth with rounded edges, thereby safe for your kid's use. This puzzle helps your child to play and develop an interest in learning. Feature 1 : Let your child learn alphabets with this colorful 3D puzzle.